This is my second post for the day, because I just had some great challenges to share! So, be sure to scroll down for more inspiration. This one is for The Paper Variety. Look what you could win!!!! 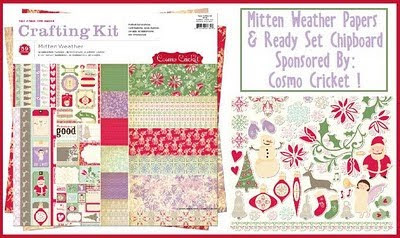 Aww yeah.. Cosmo Cricket is generously donating the wintry Mitten Weather Collection Kit AND coordinating CHIPBOARD! How could you not love that??? The challenge is to draw inspiration from this adorable photo. So many possibilities!!!! I drew from the colors. 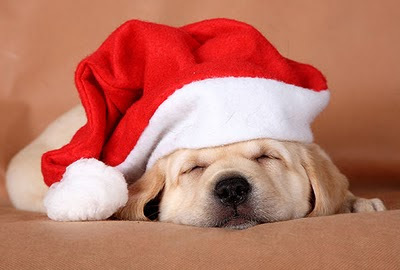 I could have done a puppy/dog, santa hat or possibly a baby sleeping. Get on over to The Paper Variety to see what the other DT members came up with. It's Sketchabilities Reveal Day!!! It always seems like such a long time between reveals. I just love Karan's sketches! 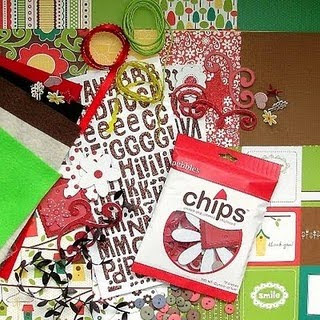 This one is perfect for Christmas layouts. I started out by cutting some cone shaped pieces of cardstock to adhere my decorative punched lines to. It was extremely easy, but time consuming. I really like how they turned out though. My darling son, Blake covered in gifts. The smile on his face says it all! Another challnege is up at The Paper Variety. This challenge has so many options. Pick your poison :) I used the top row across. I used my cricut to cut all the snowflakes and the word "love." I used Stickles "Icicles" to create the snow effect. Our sponsor this week is Tidbitz In Time. Look at this fabulous kit you could win!!! 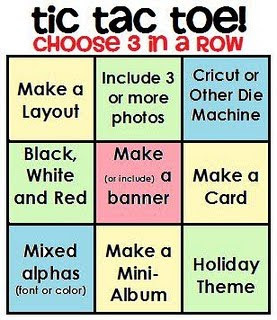 Just complete the challenge and upload by Tuesday for your chance. Zip over to The Paper Variety for details. I used a recent sketch from Nuts About Sketches to complete this challenge.